Wowza Media Systems continues to build on its expansive partner program to provide customers a resource for complimentary streaming products throughout the ecosystem. 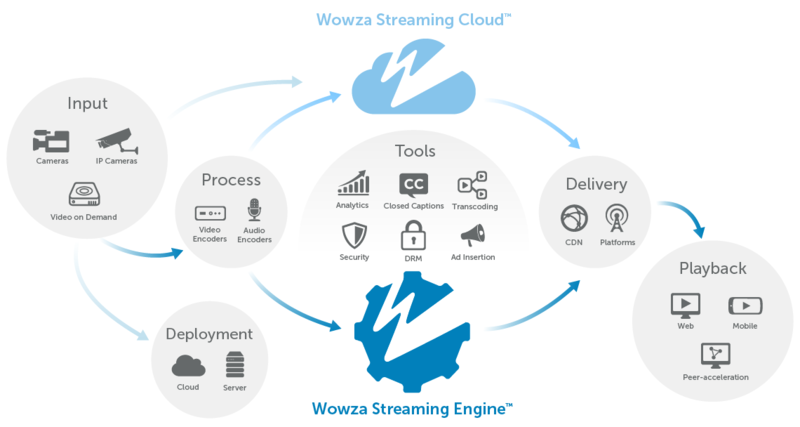 Works With Wowza™ is a partner ecosystem program built on industry-leading technologies that work together to provide robust, flexible, and scalable streaming to any device. Works With Wowza partners’ products and solutions are certified to integrate with Wowza products. The Works With Wowza program is invite-only and available for cameras, encoders, cloud hosting providers, and media players. Tech Alliance is a partner ecosystem program that provides complimentary products and technology that, together with Wowza products, deliver innovative, best-of-breed solutions for a broad range of customers in many industries. Tech Alliance partners' products are testing and verified as interoperable with Wowza products. The Tech Alliance program is open to all product categories in the streaming workflow.